If you are interested in hosting an AASA Conference please refer to our Guidelines and Protocols. 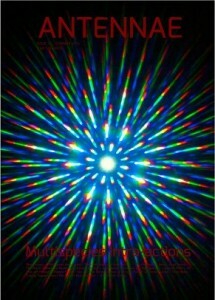 Please follow this link for Conference Publications. 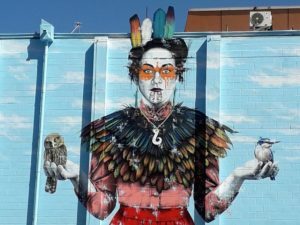 The next biennial conference of the Australasian Animal Studies Association will be held in Ōtautahi / Christchurch, Aotearoa / New Zealand – a city and a country that embody the impacts of colonialism on human and nonhuman animals alike. Colonial politics and histories have shaped, and continue to shape, the contemporary worlds of humans and other animals. Languages, societies, cultures, species, landforms, ecosystems, waterways and climates all bear the marks of human imperialism, settlement, invasion, migration, translocation, globalization, colonialism and neocolonialism. What would it mean for humans to decolonize their relationships with each other and with other species? 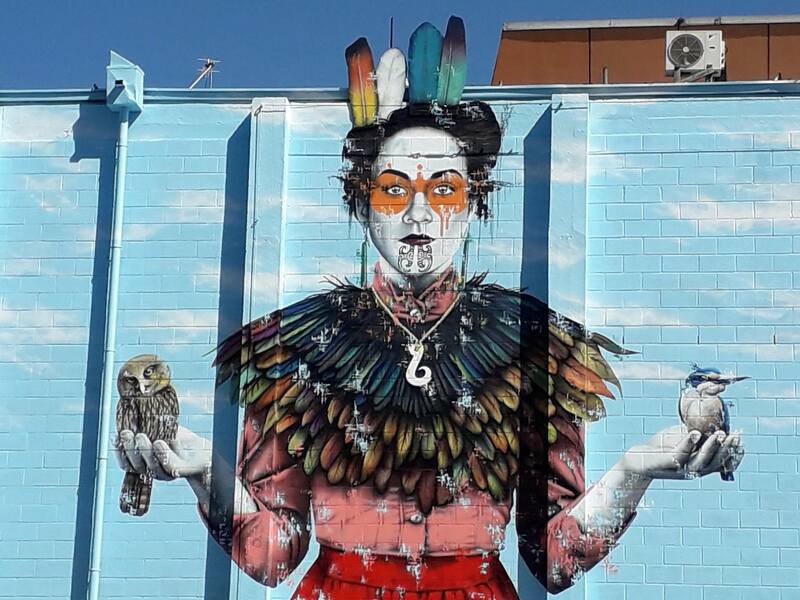 Could we ever become decolonizing animals? 6th Biennial Conference of the Australasian Animal Studies Association (AASA) was convened by the Australian Centre and the Human Rights & Animal Ethics Research Network (HRAE), University of Melbourne. Animal Publics: Emotions, Empathy, Activism. 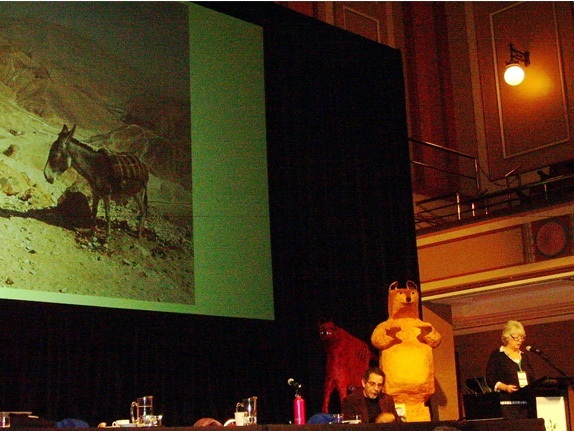 Animal Publics, was the sixth biennial international conference of the Australasian Animal Studies Association (formerly the Australian Animal Studies Group), the conference explored the complex relationship between the public and private worlds of animals. It considered the roles played by emotions, empathy and activism in the often contradictory way in which we relate to animals in both public and private spheres. Six acclaimed international key-note speakers presented papers over the four days. Speakers from around the world offered local and global perspectives on the issues involved – a copy of the full conference program is available here: animal-publics-full-program. Debate was stimulated through an exhibition of art works (download catalogue), film screenings and book launches. Keynote speakers included: Una Chaudhuri, Erica Fudge, Jeffrey Moussaieff Masson, Timothy Pachirat, Anat Pick and Harriet Ritvo. The Anthropocene describes a period of geological time dominated by homo sapiens and marked by the significant impact of human activity on the planet. At a time when the natural world is ever more subject to human intervention, interspecies relations face many challenges. If the cultural and scientific moment of the Anthropocene puts ‘us’ in our place, then it is time to consider our place with them, the other animals. This conference, hosted by the University of Sydney, brought together voices from a wide range of disciplines and beyond the academy to examine how new knowledge of human-animal relations requires novel starting points, critical tools and cross-disciplinary connections. Events also included an Art Exhibition, an Animals + Writing event with a Writer in Residence supported by Voiceless, and various social functions. The Environmental Futures Centre, Griffith University, hosted the 4th biennial conference of the Australian Animal Studies Group in Southbank, Brisbane. 121 delegates attended the conference where over 100 papers were presented. 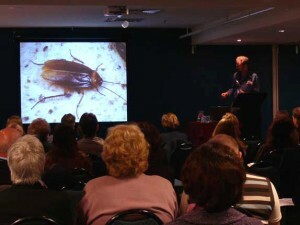 Delegates travelled to Brisbane from every state in Australia and from five overseas countries to deliver papers that inspired and entertained an enthusiastic and very multidisciplinary audience. The program featured two international keynote speakers: Marsha Baum, Professor of Law at the University of New Mexico and Nigel Rothfels, Director of Undergraduate Research at the University of Wisconsin-Milwaukee. Freya Matthews, Associate Professor of Philosophy at La Trobe University gave the Val Plumwood Memorial Lecture. In addition to the usual concurrent sessions, the conference included a panel discussion on the recent Brisbane flood, two art exhibitions, two book launches, a welcome reception and conference dinner. Minding Animals – an International Academic and Community Conference – was held in Newcastle, New South Wales. A week-long event in July 2009, this conference featured 300 presenters, speaking in 6 concurrent sessions. Together with keynote speakers Dale Jamieson, Marc Bekoff, Deborah Rose, James Serpell, Bernard Rollin, Jennifer Wolch, Michael Soulé and Peter Singer and dinner presenters Carol Adams and Jill Robinson, they gave Australian delegates exposure to a wealth of ideas and cutting-edge research in human-animal studies from many different countries and cultural backgrounds. Activist, government and non-government approaches to issues involving nonhuman animals also broadened the scope and interest generated by the event. 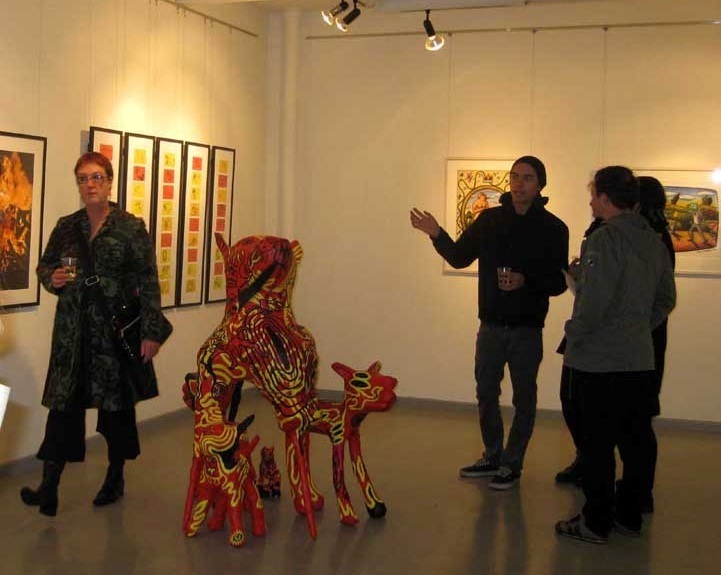 A highlight of the conference was the 15 art exhibitions that participants could visit after the sessions finished each day. These events and the animal documentary films provided a valuable visual dimension to proceedings that enabled discussion and additional enjoyment for attendees. 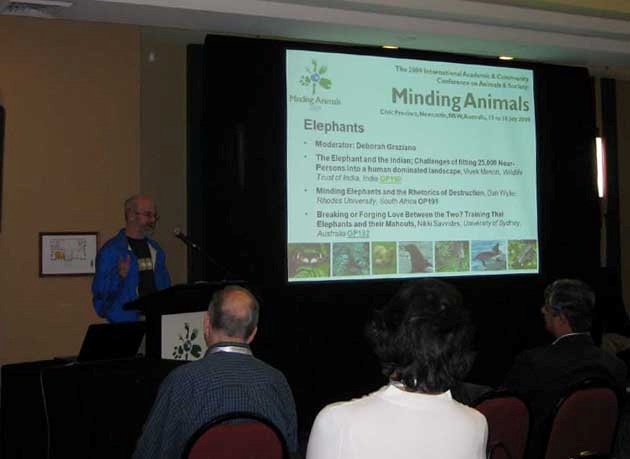 Further information about the ongoing Minding Animals Conferences can be found here. Delegates appreciate an art exhibition and paper presentation at the Newcastle conference. 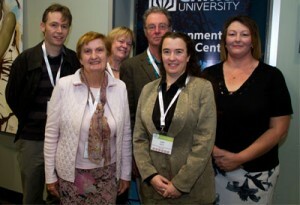 The Group’s inaugural conference was held at the University of Western Australia in 2005. This event was dynamic. It hosted some 50 international and Australian scholars from across the disciplines whose papers displayed a set of distinct yet related themes, such as conflicts over wildlife management, the social construction of feral or ‘out of place’ animals and the complex relationships between human and non-human animals in rural settings. Speakers included Professors Kay Milton (Queens University Belfast), Adrian Franklin (University of Tasmania), Veronica Strang (University of Auckland) and Peter Read (Australian National University). A second conference in Hobart demonstrated a dramatic growth in interest and participation in the field. Following on from the success of the inaugural conference, the Group joined with the University of Tasmania to host “Animals and Society II: Considering Animals”. 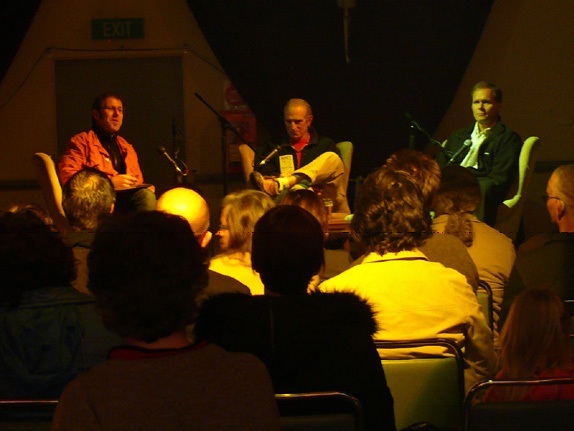 The conference was held at the historic Old Woolstore close to Hobart’s waterfront over 3 days in July 2007. Like the first, it aimed to bring together researchers from a broad range of academic disciplines spanning the humanities, social sciences and sciences, as well as representatives from non-government organisations, industry and government. The call for papers for Considering Animals encouraged a critical approach to human-animal relations and provided an important opportunity for researchers from Australia to share knowledge and experience with colleagues from overseas. 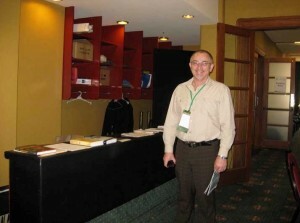 There were over 100 delegates at the conference and almost a third were from countries outside Australia. Ninety-five of the participants presented papers in three and four person panel sessions, maintaining to some extent the intimate and friendly ambience that had been so important in establishing early links at the conference in Perth. Features of the Hobart event were keynote speakers, Marc Bekoff, who gave a public lecture – “Animal Emotions and Wild Justice” – that attracted a record audience at the University’s Centre for the Arts Theatre; Steve Baker, whose presence supported and invigorated a strong participation by delegates involved with animals in art; Tim Low, prominent Australian environmentalist; and Helen Tiffin whose work in post colonialism segued into an interest and teaching presence in HAS, long before the field was established in Australia. The conference was universally praised for its smooth organization, the friendliness of its hosts and delegates, and the high quality of its presentations. The publication of papers from the Group’s conferences has played an important role in the dissemination of research to cross-disciplinary audiences and in heightening awareness about animal studies within the academy. Two series of published papers, edited by Jane Mulcock and Natalie Edwards, emanated from the Perth conference. 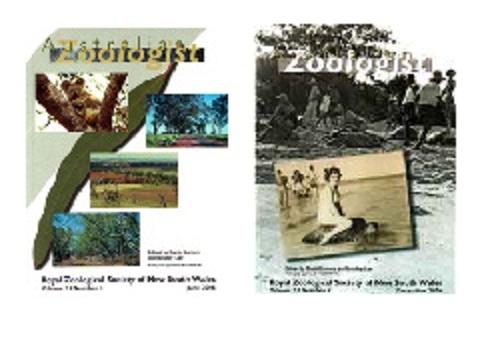 Papers pertinent to Australian wildlife management, conservation and animal welfare were published in consecutive issues of the Australian Zoologist in 2006. And a special issue of the Animals & Society Institute’s journal, Society & Animals was published in 2007. It showcased papers from early career academics and postgraduates and included a summary of the first-ever national survey of human-animal relations in Australia, conducted by Professor Adrian Franklin. 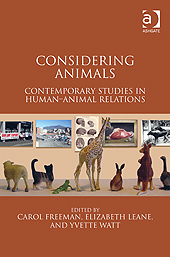 A collection of papers from the Hobart conference, entitled Considering Animals: Contemporary Studies in Human-Animal Relations, was edited by Elizabeth Leane, Yvette Watt and Carol Freeman. It includes contributions by Steve Baker, Philip Armstrong, Kay Milton, Wendy Woodward and Jonathan Balcombe, with a foreword by Marc Bekoff. 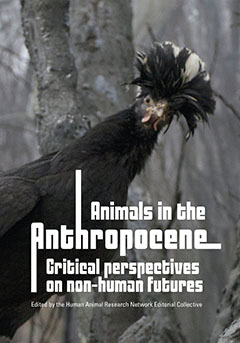 The editors, aware of the political turn in HAS, asked contributors to encourage readers to consider the ways in which non-human animals are represented to ourselves; to be considerate of animals, recognizing their capacity for pain and pleasure; and to remain aware that animals are themselves considering beings – they think, communicate, and have agency. Further papers from the Hobart conference have been published in Australian Zoologist. 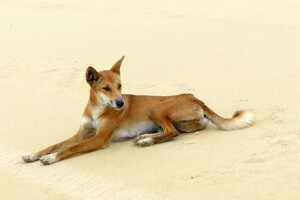 This journal has been consistently supportive of human-animal studies in Australia. The papers address dingoes, rural children’s understanding of animals and newspaper representations of sharks – including the now-famous paper titled “Man grabs shark with bare hands, blames vodka”. 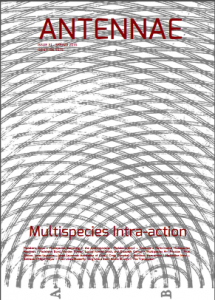 The exhibition Intra-action: Multispecies becomings in the Anthropocene, part of the Sydney 2013 conference Life in the Anthropocene, became the locus for 2 special editions of Antennae: The Journal of Nature in Visual Culture.